A dear friend of mine was given these red roses last year when she was hospitalized with a serious, life-threatening infection. I painted this from the photos I took of them. Thankfully, she has fully recovered! 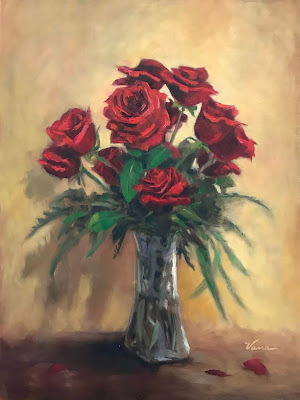 The roses did their magic and now live on only in photos and this painting.